We understand that real independence means being able to drive what you want, when you want. Whether it’s getting seated safely in your vehicle or lifting your wheelchair, scooter or powerchair into the boot of your car, we want to make sure that you have a pleasant journey wherever you are travelling to. We have innovative solutions that transfer users from a wheelchair into a standard car seat at the touch of a button. 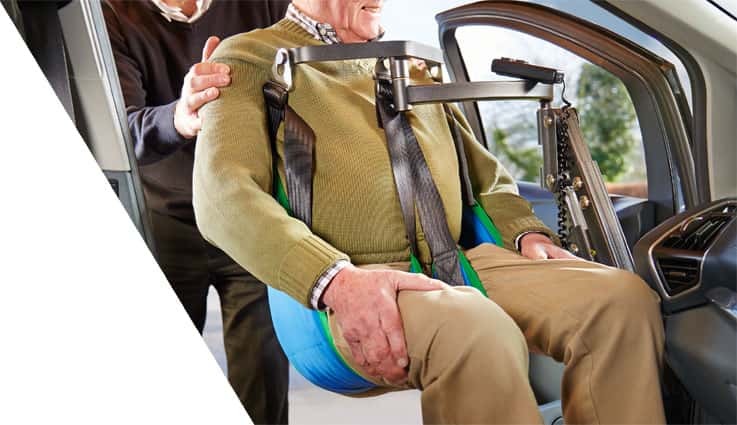 At Love Mobility we offer a number of different solutions to help drivers and passengers get themselves, and their mobility equipment, in and out of vehicles. We also offer a number of solutions including wheelchair or scooter hoists and lifts, designed especially for the loading and unloading of mobility aids to and from your vehicle for easy stowage and transport. We also provide and install swivel seats and seating systems designed to make it easy for you to move from a wheelchair and into the vehicle. 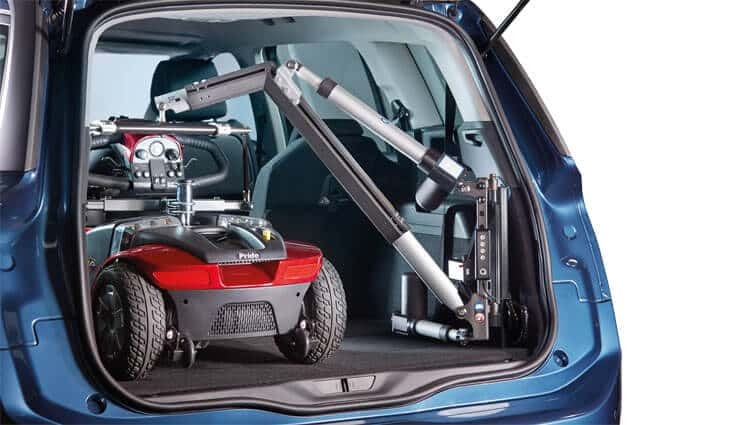 In order to give you your independence to get into and out of the car, the Smart Transfer is designed to fit more than 300 different makes and models of vehicle – meaning it will transfer you safely in and out of the seat of your current car. Available in a range of sizes, the Smart Transfer can also be used in the home, on holiday or in the office. The ability to be able to easily move your wheelchair or scooter into and out of your vehicle ensures that you have your freedom to travel. Our Smart Transfer is designed to fit more than 300 different makes and models of vehicle – meaning it will transfer you safely in and out of the seat of your current car. Available in a range of sizes, the Smart Transfer can also be used in the home, on holiday or in the office.